The European Union (EU) has been planning legislation to curb the at-least perceived tax-dodging practices of big tech firms with bases within the union. It involves taxing revenues from online ads at the per-EU point of target. This, as politicians such as Bruno Le Maire assert, will ensure that companies such as Apple pay a more proportionate tax burden. “Enough of talking. Enough words. Enough excuses!” These words were used by the finance minister of France, Bruno Le Maire, in order to re-ignite the discussion over the 'digital tax' currently proposed by the European Union as a new model to tax online revenue garnered by technology companies in the bloc. Maire did this in the course of an interview broadcast on the French public channel Public Senat TV. These proposals involve charging taxes on 'digital' earnings made by companies who make €50 million (about US$58 million) in the EU (or €750 ($845) million in general) per year. 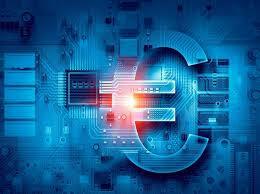 These revenues are those made by targeting EU internet users with tools such as online ads. This criterion appears to target the 'big four' (i.e. Google, Apple, Amazon and Facebook) in particular, although the European Economics Commission (EEC) insists that about 150 more companies would be subject to it as well. The general idea of this possible legislation, first broached in March 2018, may be to ensure that the companies in question pay tax on their earnings from operations in EU countries. The EEC estimates that they could garner about $5 billion for the bloc. On the other hand, they could have inadvertent negative effects should they become part of EU legislature. They may include these charges being passed on to parties such as affiliates.